Life is a journey. It is not a race to test who can finish first or who can end up with the most loot. Rather, life is best enjoyed as a meander - watching the view to left and right - above and below - as the days slowly move past in dress review. Life is a journey. 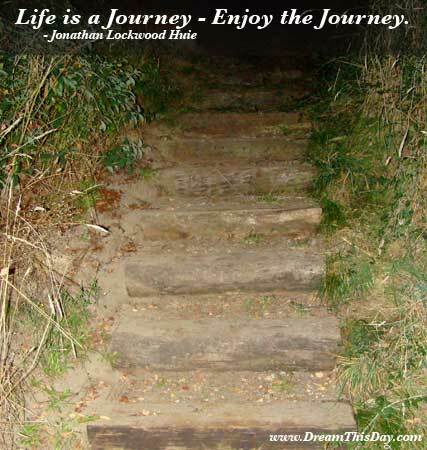 Enjoy the journey.